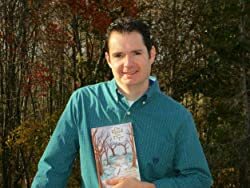 Brian writes with a sense of adventure to take readers on a journey to places and times that they cannot reach in a plane, boat, or car. We can read about the mundane world in newspapers and magazines, but the world of fantasy…that is something special where only dreams and books can transport us. Find your favorite spot to read. Grab one of Brian’s books. And settle in for an adventure. Please enter your email address and click the Follow button to follow Brian G. Michaud!